Burnaby, BC, May 15, 2018--(T-Net)--TELUS Corporation today released its unaudited results for the first quarter of 2018 that reflect the January 1, 2018 adoption of IFRS 15, Revenue from contracts with customers (IFRS 15) and IFRS 9, Financial Instruments (IFRS 9). Results for the comparative periods in 2017 have been adjusted to reflect the retrospective application of IFRS 15 and IFRS 9. The effects of IFRS 15 are most pronounced in our wireless and consolidated results, while IFRS 9 does not currently have a material effect on our financial performance. See note 2 in the 2018 first quarter interim consolidated financial statements for a full description and breakdown of the associated impacts. For the quarter, consolidated operating revenue increased by 6.0 per cent to $3.4 billion in the first quarter of 2018, over the same quarter a year ago, primarily due to higher consolidated service revenues, reflecting continued growth in wireless network revenue and wireline data services revenue. Earnings before interest, income taxes, depreciation and amortization (EBITDA) increased by 2.7 per cent to $1.3 billion due to higher service revenue growth, partially offset by increased costs to support higher wireless gross loading and retention volumes as well as from increased employee benefits expense due to recent acquisitions. Adjusted EBITDA was up 5.2 per cent when excluding restructuring and other costs. Excluding the effects of IFRS 15, consolidated revenue and adjusted EBITDA were higher by 6.2 per cent and 4.7 per cent respectively. 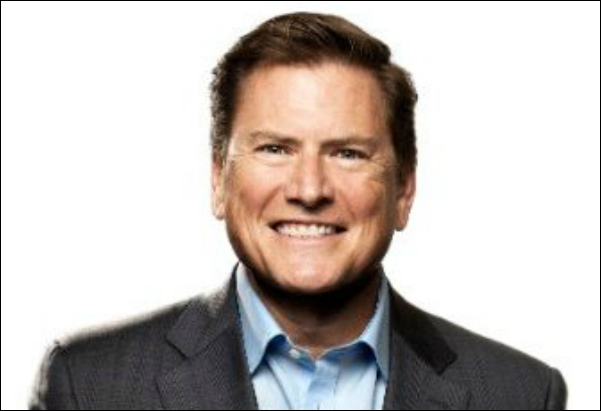 "TELUS' first quarter results reflect strong operational and financial performance, including healthy revenue and EBITDA expansion across both our wireless and wireline product portfolios in concert with robust customer growth", said Darren Entwistle, President and CEO. "Our continued strong performance is owing in no small part to the TELUS team's unparalleled dedication to providing consistently exceptional customer experiences. We once again achieved industry-leading wireless churn, and we are now in our fifth year of earning a churn rate below one per cent. Our leadership in customer loyalty was further evidenced by the Commission for Complaints for Telecom-Television Services mid-year report, released in April, in which TELUS received the fewest complaints of any national carrier for the sixth consecutive year. This unrelenting commitment to our Customers First promise is buttressed by our highly differentiated product offerings, as well as the ongoing significant investments we are making in our leading broadband networks and technology. Notably, TELUS once again ranked number one in overall wireless download speeds on a national basis, and amongst the very fastest globally, in the 2018 OpenSignal report released in February. This acknowledgement builds on the significant recognition and numerous awards TELUS received in 2017 in respect of our network excellence." Mr. Entwistle added, "Our team achieved an important milestone in the first quarter as we surpassed 50 per cent coverage of our Optik footprint with our broadband network build program. This ongoing expansion will enable more customers to access our leading fibre technology while supporting the continued sustainable growth of our wireline and wireless services, including the advent of 5G. Through the success of our broadband investments, we have demonstrated our ability to consistently drive long-term growth in revenue, EBITDA and EPS, while simultaneously delivering on our dividend growth model and maintaining a robust balance sheet." Mr. Entwistle further commented, "Our dividend increase announced today reflects the fifteenth increase since 2011, and is the third in our most recent three-year dividend growth program targeting annual growth between seven and 10 per cent through 2019. Our track record of delivering on our industry-leading, shareholder-friendly initiatives continues to generate significant value for our shareholders. Notably, TELUS has now returned $15.4 billion to shareholders, including $10.2 billion in dividends, representing $26 per share since 2004." Doug French, TELUS Executive Vice-President and CFO said, "Together, through our team's consistent execution of our growth strategy, TELUS once again delivered strong quarterly performance on both a pre and post IFRS 15 accounting change basis. Importantly, this includes free cash flow, which is not impacted by the accounting change, and which expanded by a strong 104 per cent over last year. This is on strategy and in line with our previously stated objective to be free cash flow positive after dividends for the year in 2018, after passing the peak year in our elevated capital investment program last year, and as our broadband network build passes the half-way fibre-optic coverage threshold." Mr. French added, "Our thoughtful investments in advanced broadband technologies and customer service excellence continue to advance our network leadership and differentiated value proposition. Our long-standing focus on building leading networks and relentless focus on operational efficiency, combined with maintaining a strong balance sheet, is fueling strong and profitable growth while supporting our leading and long-standing dividend growth program." In wireless, our network revenue increased by 4.0 per cent to $1.5 billion, reflecting continued postpaid subscriber growth, including subscribers we acquired from Manitoba Telecom Services (MTS), and a higher proportion of customers selecting plans with larger data buckets or periodically topping up their data buckets. In wireline, our data services revenue increased by 9.8 per cent to $1.1 billion, due to growth in customer care and business service (CCBS) outsourcing revenues primarily due to growth in business volumes from recent acquisitions, increased Internet and enhanced data service revenues from continued high-speed Internet subscriber growth and higher revenue per customer, higher TELUS TV revenues from subscriber growth, increased equipment revenues in the business market and revenues from our recently acquired home security business. In the quarter, we attracted 76,000 new postpaid wireless, high-speed Internet and TELUS TV customers, essentially flat over the same quarter a year ago. The higher net additions included 48,000 wireless postpaid net additions, 22,000 high-speed Internet subscribers, and 6,000 TELUS TV customers. Our total wireless subscriber base of 8.9 million is up 4.0 per cent from a year ago, reflecting a 5.7 per cent increase in our postpaid subscriber base to 8.0 million. Our high-speed Internet connections are up 4.7 per cent over the last twelve months and approaching 1.8 million, while our TELUS TV subscriber base of 1.1 million is higher by 3.2 per cent. For the quarter, net income of $412 million decreased by $10 million over the same period a year ago due to a $30 million increase to restructuring and other costs driven by efficiency initiatives, increased financing costs, as well as higher income taxes reflecting an increase to the B.C. corporate income tax rate. Basic earnings per share (EPS) of $0.69 was essentially unchanged over last year. Adjusted net income of $435 million and adjusted EPS of $0.73 increased by 4.1 per cent and 2.8 per cent respectively as EBITDA growth was partially offset by higher depreciation and amortization reflecting the significant investments we have made in the past few years, including our broadband networks, as well as those arising from business acquisitions. Free cash flow of $443 million increased by $226 million over the same quarter a year ago due to lower cash taxes, a decline in capital expenditures and higher EBITDA. The application of IFRS 15 reflects a non-cash accounting change. As such, the underlying economics and free cash flow generated by the business are not impacted by the change. (1) Our results for 2017 have been adjusted to reflect the retrospective application of IFRS 15 and IFRS 9, which were adopted January 1, 2018. For further information, see the 2018 first quarter interim consolidated financial statements. (2) EBITDA is a non-GAAP measure and does not have any standardized meaning prescribed by IFRS-IASB. TELUS issues guidance on and reports EBITDA because it is a key measure used to evaluate performance. For further definition and explanation of this measure, see 'Non-GAAP and other financial measures' in this news release or Section 11.1 in the 2018 first quarter Management's discussion and analysis. (3) Adjusted EBITDA for the first quarters of 2018 and 2017 excludes restructuring and other costs. (4) Adjusted net income and adjusted basic EPS are non-GAAP measures and do not have any standardized meaning prescribed by IFRS-IASB. These terms are defined in this news release as excluding from net income attributable to common shares and basic EPS (after income taxes), restructuring and other costs. For further analysis of adjusted net income and adjusted basic EPS, see 'Non-GAAP and other financial measures' in this news release or Section 1.3 in the 2018 first quarter Management's discussion and analysis. (5) Free cash flow is a non-GAAP measure and does not have any standardized meaning prescribed by IFRS-IASB. For further definition and explanation of this measure, see 'Non-GAAP and other financial measures' in this news release or Section 11.1 in the 2018 first quarter Management's discussion and analysis. (6) The sum of active wireless subscribers, residential network access lines (NALs), high-speed Internet access subscribers and TELUS TV subscribers, measured at the end of the respective periods based on information in billing and other systems. Effective April 1, 2017, postpaid subscribers, total subscribers and associated operating statistics (gross additions, net additions, average billing per user per month (ABPU), average revenue per subscriber unit per month (ARPU) and churn) were adjusted to include an estimated migration of 85,000 Manitoba Telecom Services Inc. (MTS) subscribers in the opening subscriber balances. Subsequent to this, on October 1, 2017, postpaid and total subscribers and associated operating statistics were adjusted to reduce estimated migrations of MTS subscribers down by 11,000 to 74,000. Cumulative subscriber connections also include an April 1, 2017, adjustment to remove approximately 19,000 prepaid and 25,000 postpaid subscriptions from the respective subscriber bases, primarily due to our national CDMA network shutdown. Wireless network revenues increased by $57 million or 4.0 per cent year-over-year to $1.5 billion. This growth was driven by growth in the postpaid subscriber base, including subscribers we acquired from MTS, and a larger proportion of customers selecting plans with larger data buckets or periodically topping up of their data buckets. Wireless equipment revenue increased $56 million or 16 per cent mainly due to higher retention volumes and postpaid gross additions, and an increase in higher-valued smartphones in the sales mix. Under IFRS 15, equipment revenues represent a much larger portion of overall revenue and primarily reflect the full unsubsidized selling price of the contracted handset, despite cash being received over the contract term through the customer's rate plan. Average billing per user per month (ABPU) was higher by 1.5 per cent to $66.51, reflecting a higher proportion of higher-value postpaid and smartphone customers in the subscriber mix. This represents our thirtieth consecutive quarter of year-over-year growth. Monthly postpaid subscriber churn was 0.95 per cent as compared to 0.93 per cent a year ago as our focus on customers first initiatives and retention programs was partly offset by incremental deactivations from competitive intensity. This marks the eighteenth out of the past nineteen quarters postpaid churn has been below 1 per cent. In January 2018, our postpaid subscriber churn rate was affected by the continuation of aggressive holiday offers. In both February and March 2018, our postpaid subscriber churn rate was below 0.90 per cent. Wireless postpaid net additions of 48,000 increased by 4,000 over the same period a year ago, reflecting the success of promotions and our marketing efforts focused on higher-value postpaid and smartphone loading. Prepaid net losses totaled 43,000 due to increased competition, but improved by 10,000 over the same period a year ago. EBITDA increased by $39 million while Adjusted EBITDA of $846 million increased by $48 million or 6.0 per cent over last year, reflecting higher network revenue partly and an improvement in equipment margins, partly offset higher administrative costs and increased customer support costs due to growth in the subscriber base and increased network operating expenses. Excluding the effects of IFRS 15, Adjusted EBITDA of $865 million was higher by $44 million or 5.2 per cent. Wireless capital expenditures decreased by $67 million or 27 per cent over the same period a year ago due to primarily due to activity in the first quarter of 2017 as we incurred costs to update our radio access network in Ontario and Quebec, which was completed in the second quarter of 2017. Additionally, we incurred costs in the first quarter of 2017 for the hardware upgrade of our wireless billing system. External wireline revenues increased by $76 million or 5.4 per cent to $1.5 billion. This growth was generated by higher data services revenue. Data services revenues increased by $97 million or 9.8 per cent, due to growth in CCBS outsourcing revenues primarily due to growth in business volumes from recent acquisitions, increased Internet and enhanced data revenues from continued high-speed Internet subscriber growth and higher revenue per customer, increased TELUS TV revenues resulting from continued subscriber growth, increase in equipment revenues in the business market and revenue from our recently acquired home security line of business. High-speed Internet net additions of 22,000 was relatively flat over the same quarter a year ago due to consistent customer demand for our high-speed broadband services, including fibre to the premises. Total TELUS TV net additions of 6,000 were essentially flat over the same quarter a year ago as lower gross additions due to heightened competitive intensity as the overall market for paid TV services declines were partly offset by the ongoing expansion of our addressable high-speed Internet and Optik TV footprint, connecting more homes and businesses directly to fibre and bundling of these services together. Residential network access lines (NALs) declined by 16,000 in the quarter, an improvement of 7,000 over the same quarter a year ago, reflecting the success of our bundled service offerings, expanding fibre footprint, which now covers 51 per cent of our Optik TV footprint, and customers first initiatives. Residential NAL losses continue to reflect the trend of substitution to wireless and Internet-based services, as well as increased competition. Other operating income increased by $8 million in the first quarter of 2018, mainly due to higher net gains on sales of certain assets. Wireline EBITDA decreased slightly by $5 million while Adjusted EBITDA increased by $16 million or 3.7 per cent over last year. This reflects ongoing growth in data service margins, including Internet, TELUS Health, and TELUS TV, partly offset by higher employee benefits expense, higher external labour, TV content costs and the continued declines in legacy voice services. Excluding the effects of IFRS 15, Adjusted EBITDA growth was unchanged at 3.7 per cent. Wireline capital expenditures decreased slightly by $7 million or 1.5 per cent over the same period a year ago. During the quarter we continued to connect more homes and businesses directly to our fibre-optic network and our investments support systems reliability and operational efficiency and effectiveness. TELUS' consolidated financial targets for 2018, including revenue, adjusted EBITDA and basic earnings per share, are being updated to reflect the adoption of IFRS 15. Importantly, the application of IFRS 15 reflects a non-cash accounting change. As such, the underlying economics and free cash flow generated by the business are not impacted by the change. 1) Adjusted EBITDA for all periods excludes the following: restructuring and other costs, and net gains and equity income or net losses and equity losses related to real estate joint venture developments. Adjusted EBITDA for 2017 excludes the MTS net recovery. 2018 total restructuring and others costs are expected to be approximately $135 million, as compared to $139 million in 2017. 2) Capital expenditure targets and results exclude expenditures for spectrum licences. The disclosure respecting TELUS' 2018 financial targets is forward-looking information and is fully qualified by the 'Caution regarding forward-looking statements' included in this first quarter of 2018 news release and in the 2017 annual Management's discussion and analysis, especially Section 10 entitled 'Risks and Risk Management' thereof which is hereby incorporated by reference, and is based on management's expectations and assumptions as set out in Section 9 of the 2017 annual Management's discussion and analysis entitled 'General trends, outlook and assumptions'. This disclosure updates Section 1.7 entitled 'Financial and operating targets for 2018' of TELUS' fourth quarter 2017 results and 2018 financial targets news release dated February 8, 2018. The TELUS Board of Directors has declared a quarterly dividend of $0.525 Canadian per share on the issued and outstanding Common Shares of the Company payable on July 3, 2018 to holders of record at the close of business on June 8, 2018. This second quarter dividend represents an increase of $0.0325 or 6.6 per cent from the $0.4925 quarterly dividend paid on July 3, 2017 and is the fifteenth dividend increase since TELUS announced its original multi-year dividend growth program in May 2011. Over this period, TELUS' dividend is higher by 100 per cent. Paying, collecting and remitting a total of approximately $480 million in taxes in the first quarter of 2018 to federal, provincial and municipal governments in Canada consisting of corporate income taxes, sales taxes, property taxes, employer portion of payroll taxes and various regulatory fees. Since 2000, we have remitted approximately $23 billion in these taxes. Disbursing spectrum renewal fees of over $50 million to Innovation, Science and Economic Development Canada in the first quarter of 2018. Since 2000, our total tax and spectrum remittances to federal, provincial and municipal governments in Canada have totaled approximately $28 billion. Investing $650 million in capital expenditures primarily in communities across Canada in the first quarter of 2018 and $36 billion since 2000. Spending $1.95 billion in total operating expenses in the first quarter of 2018, including goods and service purchased of approximately $1.4 billion. Since 2000, we have spent $109 billion and $72 billion respectively in these areas. Generating a total team member payroll of $664 million in the first quarter of 2018, including payroll taxes of $53 million. Since 2000, total team member payroll totals $43 billion. Returning $598 million in dividends in the first four months of 2018, including dividend payments in January and April, to individual shareholders, mutual fund owners, pensioners and institutional investors. Since 2004, we have returned $15.4 billion to shareholders through our dividend and share purchase programs, including $10.2 billion in dividends, representing $26 per share. Forward-looking statements include any statements that do not refer to historical facts. They include, but are not limited to, statements relating to our objectives and our strategies to achieve those objectives, our outlook, updates, our multi-year dividend growth program, and our updated consolidated financial targets for 2018 (revenue, adjusted EBITDA, basic earnings per share and capital expenditures). Forward-looking statements are typically identified by the words assumption, goal, guidance, objective, outlook, strategy, target and other similar expressions, or future or conditional verbs such as aim, anticipate, believe, could, expect, intend, may, plan, predict, seek, should, strive and will. Slightly slower rate of economic growth in Canada in 2018, estimated to be 2.1% (3.1% in 2017). For our incumbent local exchange carrier (ILEC) provinces in Western Canada, we estimate that economic growth in B.C. will be 2.5% in 2018 (3.4% in 2017), and that economic growth in Alberta will be 2.4% in 2018 (3.9% in 2017). An increase in wireless industry penetration of the Canadian market. Ongoing subscriber adoption of, and upgrades to, data-intensive smartphones, as customers want more mobile connectivity to the Internet. Wireless revenue growth resulting from growth in both postpaid subscriber loading and blended ARPU. Continued growth in wireline data revenue, resulting from an increase in high-speed Internet and TELUS TV subscribers, speed upgrades and expanding broadband infrastructure, as well as business outsourcing and healthcare solutions. Continued erosion of wireline voice revenue, resulting from technological substitution and greater use of inclusive long distance and lower wholesale volumes. Employee defined benefit pension plans: Pension plan expense of approximately $97 million recorded in Employee benefits expense and approximately $14 million recorded in employee defined benefit pension plans net interest in Financing costs; a 3.40% rate for discounting the obligation and a 3.50% rate for current service costs for employee defined benefit pension plan accounting purposes; and defined benefit pension plan funding of approximately $50 million. Restructuring and other costs of approximately $135 million for continuing operational effectiveness initiatives, with margin enhancement initiatives to mitigate pressures related to intense competition, technological substitution, repricing of our services, increasing subscriber growth and retention costs, and integration costs associated with the home security customer acquisition. Income taxes computed at applicable statutory rate of 26.7 to 27.3% and cash income tax payments of approximately $170 to $230 million (2017 - $191 million). Cash tax payments are expected to be relatively consistent with 2017. Further investments in broadband infrastructure as we approach nearly 50% of our targeted coverage footprint, including expanding our fibre-optic network and 4G LTE capacity expansion and upgrades, as well as investments in network and systems resiliency and reliability. No wireless spectrum auctions anticipated in 2018. Stabilization in the average Canadian dollar: U.S. dollar exchange rate (U.S. 77 cents in 2017). Competition including our ability to continue to retain customers through an enhanced customer service experience, including through the deployment and operation of evolving wireless and wireline network; the ability of industry competitors to successfully launch their respective platforms and to combine a mix of long distance, high-speed Internet access (HSIA) and, in some cases, wireless services under one bundled and/or discounted monthly rate, along with their existing broadcast or satellite-based TV services; the success of new products, new services and supporting systems, such as Internet of Things (IoT) services for Internet-connected devices; continued intense rivalry across all services among wireless and wireline telecommunications companies, cable-TV providers, other communications companies and over-the-top (OTT) services, which, among other things, places pressures on current and future average billing per subscriber unit per month (ABPU), average revenue per subscriber unit per month (ARPU), cost of acquisition, cost of retention and churn rate for all services, as do customer usage patterns, flat-rate pricing trends for voice and data, inclusive rate plans for voice and data and availability of Wi-Fi networks for data; mergers and acquisitions of industry competitors; pressures on high-speed Internet and TV ARPU and churn rate resulting from market conditions, government actions and customer usage patterns; residential and business network access line (NAL) losses; subscriber additions and retention volumes, and associated costs for wireless, TV and high-speed Internet services; and our ability to obtain and offer content on a timely basis across multiple devices on wireless and TV platforms at a reasonable cost. Technological substitution including reduced utilization and increased commoditization of traditional wireline voice local and long distance services from impacts of OTT applications and wireless substitution, a declining overall market for paid TV services, including as a result of content piracy and signal theft and as a result of a rise in OTT direct to consumer video offerings and virtual multichannel video programming distribution platforms; the increasing number of households that have only wireless and/or Internet-based telephone services; potential wireless ABPU and ARPU declines as a result of, among other factors, substitution to messaging and OTT applications; substitution to increasingly available Wi-Fi services; and disruptive technologies such as OTT IP services, including Network as a Service in the business market, that may displace or re-rate our existing data services. Technology including subscriber demand for data that may challenge network and spectrum capacity levels in the future and may be accompanied by increases in delivery cost; our reliance on information technology and our need to streamline our legacy systems; technology options, evolution paths and roll-out plans for video distribution platforms and telecommunications network technologies (including broadband initiatives, such as fibre to the premises (FTTP), wireless small-cell deployment, 5G wireless and availability of resources and ability to build out adequate broadband capacity); our reliance on wireless network access agreements, which have facilitated our deployment of wireless technologies; choice of suppliers and those suppliers' ability to maintain and service their product lines, which could affect the success of upgrades to, and evolution of, technology that we offer; supplier concentration and market power for network equipment, TELUS TV® and wireless handsets; the performance of wireless technology; our expected long-term need to acquire additional spectrum capacity through future spectrum auctions and from third parties to address increasing demand for data; deployment and operation of new wireline broadband network technologies at a reasonable cost and availability and success of new products and services to be rolled out using such network technologies; network reliability and change management; self-learning tools and automation that may change the way we interact with customers; and uncertainties around our strategy to replace certain legacy wireline network technologies, systems and services to reduce operating costs. Regulatory decisions and developments including the potential of government intervention to further increase wireless competition; the potential for appeals of, or government intervention further to, the impact from the CRTC's determinations for wholesale GSM-based domestic roaming and the setting of such rates charged to wireless service providers (WSPs) on a retroactive basis; future spectrum auctions and spectrum policy determinations, including the amount of spectrum TELUS is able to acquire and its cost under the recently announced Technical, Policy and Licensing Framework for Spectrum in the 600MHz Band, as well as cost and availability of spectrum in the 3500 MHz band; restrictions on the purchase, sale and transfer of spectrum licences; the impact of the CRTC's wireline wholesale services review, with a formal review of rates for wholesale FTTP access still to be commenced for TELUS; changes to the cost burden associated with CRTC-mandated network interconnections; disputes with certain municipalities regarding rights-of-way bylaws; and other potential threats to unitary federal regulatory authority over telecommunications, including provincial wireless and consumer protection legislation; the potential impacts of the CRTC's decision to require pro-rated refunds when customers terminate their services; the CRTC's proposed phase-out of the local service subsidy regime and corresponding establishment of a broadband funding regime to support the enhancement of high-speed Internet services focusing on underserved areas in Canada; the impact of the review of the Minister of Canadian Heritage's new Creative Canada policy framework announced on September 28, 2017; the CRTC's consultation and report on distribution models of the future; vertical integration in the broadcasting industry resulting in competitors owning broadcast content services, and timely and effective enforcement of related regulatory safeguards; the review of the Copyright Act, which began in early 2018; the federal government's stated intention to review the Broadcasting Act and Telecommunications Act as announced in the March 22, 2017 federal budget; the outcome of TELUS' applications for renewal of its broadcasting distribution licences; the North American Free Trade Agreement renegotiation; and restrictions on non-Canadian ownership and control of TELUS Common Shares and the ongoing monitoring and compliance with such restrictions. Capital expenditure levels and potential outlays for spectrum licences in spectrum auctions or from third parties, due to: our broadband initiatives, including connecting more homes and businesses directly to fibre; our ongoing deployment of newer wireless technologies, including wireless small cells to improve coverage and capacity and prepare for a more efficient and timely evolution to 5G wireless services; utilizing acquired spectrum; investments in network resiliency and reliability; subscriber demand for data; evolving systems and business processes; implementing efficiency initiatives; supporting large complex deals; and future wireless spectrum auctions held by Innovation, Science and Economic Development Canada (ISED) including the 600MHz spectrum auction scheduled to take place in March 2019, which will result in increased expenditures. Our capital expenditure levels could be impacted if we do not achieve our targeted operational and financial results. Human resource matters including recruitment, retention and appropriate training in a highly competitive industry, and the level of employee engagement. Operational performance and business combination risks including: our reliance on legacy systems and ability to implement and support new products and services and business operations in a timely manner; our ability to implement effective change management for system replacements and upgrades, process redesigns and business integrations (such as our ability to successfully integrate acquisitions, complete divestitures or establish partnerships in a timely manner, and realize expected strategic benefits, including those following compliance with any regulatory orders); the implementation of complex large enterprise deals that may be adversely impacted by available resources, system limitations and degree of co-operation from other service providers; our ability to successfully manage operations in foreign jurisdictions, including managing risks such as currency fluctuations; information security and privacy breaches, including data loss or theft of data; intentional threats to our infrastructure and business operations; and real estate joint venture re-development risks. Business continuity events including: our ability to maintain customer service and operate our networks in the event of human error or human-caused threats, such as cyberattacks and equipment failures that could cause various degrees of network outages; supply chain disruptions, including as a result of government restrictions or trade actions; natural disaster threats; epidemics; pandemics; political instability in certain international locations; and the completeness and effectiveness of business continuity and disaster recovery plans and responses. Successful implementation of cost efficiency and effectiveness initiatives, including our ability to successfully implement cost reduction initiatives and realize planned savings, net of restructuring and other costs, without losing customer service focus or negatively affecting business operations. Examples of these initiatives are: our operating efficiency and effectiveness program to drive improvements in financial results, including the future benefits of the 2016 immediately vesting transformative compensation initiative; business integrations; business product simplification; business process outsourcing; offshoring and reorganizations, including any full-time equivalent (FTE) employee reduction programs; procurement initiatives; and real estate rationalization. Additional revenue and cost efficiency and effectiveness initiatives will continue to be assessed and implemented. Financing and debt requirements including our ability to carry out financing activities, and our ability to maintain investment grade credit ratings in the range of BBB+ or the equivalent. Our ability to sustain our dividend growth program through 2019. This program may be affected by factors such as the competitive environment, economic performance in Canada, our earnings and free cash flow, our levels of capital expenditures and spectrum licence purchases, acquisitions, the management of our capital structure, and regulatory decisions and developments. Quarterly dividend decisions are subject to assessment and determination by our Board of Directors (Board) based on our financial position and outlook. Shares may be purchased under our normal course issuer bid (NCIB) when and if we consider it opportunistic, based on our financial position and outlook, and the market price of TELUS shares. There can be no assurance that our dividend growth program or any NCIB will be maintained, not changed and/or completed through 2019. Taxation matters including the interpretation of complex domestic and foreign tax laws by the tax authorities that may differ from our interpretations; the timing of income and deductions, such as tax depreciation and operating expenses; changes in tax laws, including tax rates; tax expenses being materially different than anticipated, including the taxability of income and deductibility of tax attributes; elimination of income tax deferrals through the use of different tax year-ends for operating partnerships and corporate partners; and tax authorities adopting more aggressive auditing practices, for example, tax reassessments or adverse court decisions impacting the tax payable by us. Litigation and legal matters including our ability to successfully respond to investigations and regulatory proceedings; our ability to defend against existing and potential claims and lawsuits, including intellectual property infringement claims and class actions based on consumer claims, data, privacy or security breaches and secondary market liability; and the complexity of legal compliance in domestic and foreign jurisdictions, including compliance with anti-bribery and foreign corrupt practices laws. Health, safety and environmental matters including: lost employee work time resulting from illness or injury, public concerns related to radio frequency emissions, environmental issues affecting our business including climate change, waste and waste recycling, risks relating to fuel systems on our properties, and changing government and public expectations regarding environmental matters and our responses. Economic growth and fluctuations including: the state of the economy in Canada, which may be influenced by economic and other developments outside of Canada, including potential outcomes of yet unknown policies and actions of foreign governments; future interest rates; inflation; unemployment levels; effects of fluctuating oil prices; effects of low business spending (such as reducing investments and cost structure); pension investment returns, funding and discount rates; and Canadian dollar: U.S. dollar exchange rates. These risks are described in additional detail in Section 9 General trends, outlook and assumptions, and regulatory developments and proceedings and Section 10 Risks and risk management in our 2017 annual MD&A. Those descriptions are incorporated by reference in this cautionary statement but are not intended to be a complete list of the risks that could affect TELUS. Readers are cautioned not to place undue reliance on forward-looking statements. Forward-looking statements in this document describe our expectations and are based on our assumptions as at the date of this document and are subject to change after this date. Except as required by law, we disclaim any intention or obligation to update or revise any forward-looking statements. The forward-looking statements in this news release are presented for the purpose of assisting our investors and others in understanding certain key elements of our expected 2018 financial results as well as our objectives, strategic priorities and business outlook. Such information may not be appropriate for other purposes. TELUS (TSX:T) (NYSE:TU) is Canada's fastest-growing national telecommunications company, with $13.6 billion of annual revenue and 13.1 million subscriber connections, including 8.9 million wireless subscribers, 1.8 million high-speed Internet subscribers, 1.3 million residential network access lines and 1.1 million TELUS TV customers. TELUS provides a wide range of communications products and services, including wireless, data, Internet protocol (IP), voice, television, entertainment, video and home security. TELUS is also Canada's largest healthcare IT provider, and TELUS International delivers business process solutions around the globe.